Kick back and let your money do the work by investing in these companies. To that end, we asked three Motley Fool contributors to each find a dividend stock that they believe is perfect for retirement. Read on to see why they picked Activision Blizzard (NASDAQ:ATVI), W. P. Carey (NYSE:WPC), and Cisco (NASDAQ:CSCO). Check out the latest earnings call transcripts for Activision Blizzard, W. P. Carey, and Cisco. Reuben Gregg Brewer (W. P. Carey): Real estate investment trusts, or REITs, are a great way to generate income in retirement (especially if you own them in a Roth IRA). One of the most diversified ways to get access to the institutional property markets is W. P. Carey. It invests in net lease properties, which means it owns the property but tenants pay most of the property's expenses. Usually it engages in financing-like deals, where a company sells a vital asset to Carey and then instantly leases it back. 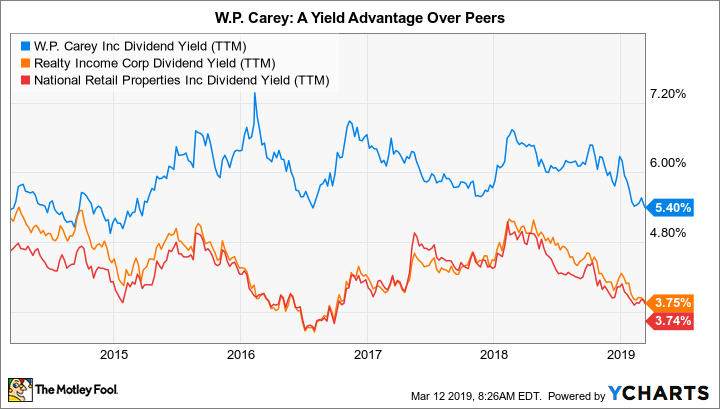 Carey earns the spread between its costs and the rents it charges and the lessee frees up cash for reinvestment.